In the initial phase, we are welcome both synthetic compound, purified natural compound, and crude extracts to be deposited at ECDD. Before sending actual compounds, please contact our center for agreement on intellectual property and material transfer agreement. 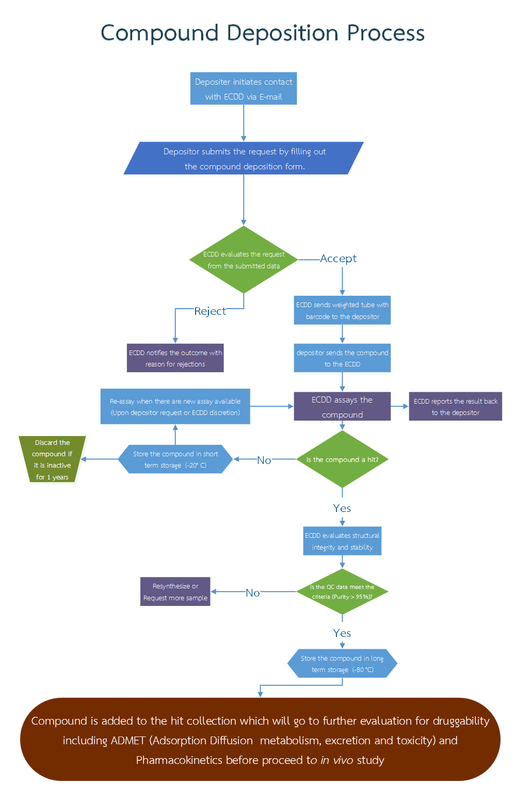 Please review our compound submission workflow below for the overview of the process.